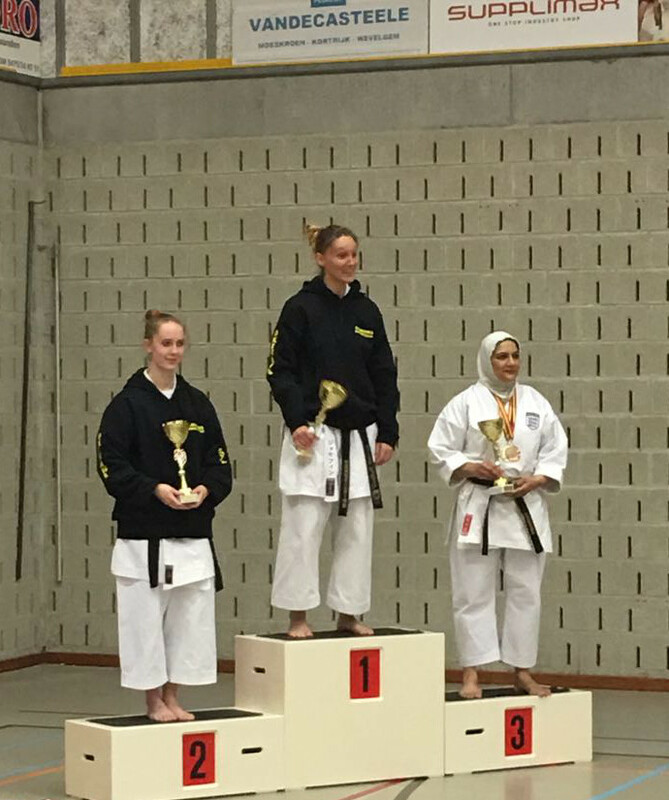 Poland in the middle of April for the SKDUN European Championships and then two weekends later some of the same group from the Portchester Karate club visited Belgium over the weekend of 28th and 29th April to take part in the above Championships. 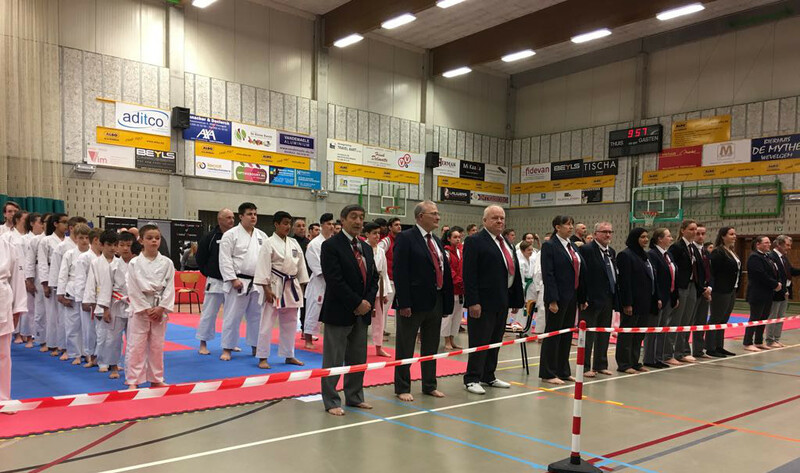 Senseis Serge and Jethro Trappeniers (Shotokan Karate federation Belgium) made us feel very welcome and with an excellent support team, ran a very efficent and enjoyable Championships. The club members travelled via the Euro tunnel and after settling into their overnight accommodation, enjoyed an evening meal at the sports centre. This was arranged for by Senseis Serge and Jethro, including a special delivery of "chips" for Yusuf. Hospitality at its best! Teams from Italy, Holland, Germany, Belgium and England gave the Championships a tremendous atmosphere for the days event. 1st in Childrens Kata, 8th to 4th Kyu 10/11 year olds. 1st in the Veterans mixed individual Kata. 2nd in the Veterans mixed individual Kata. 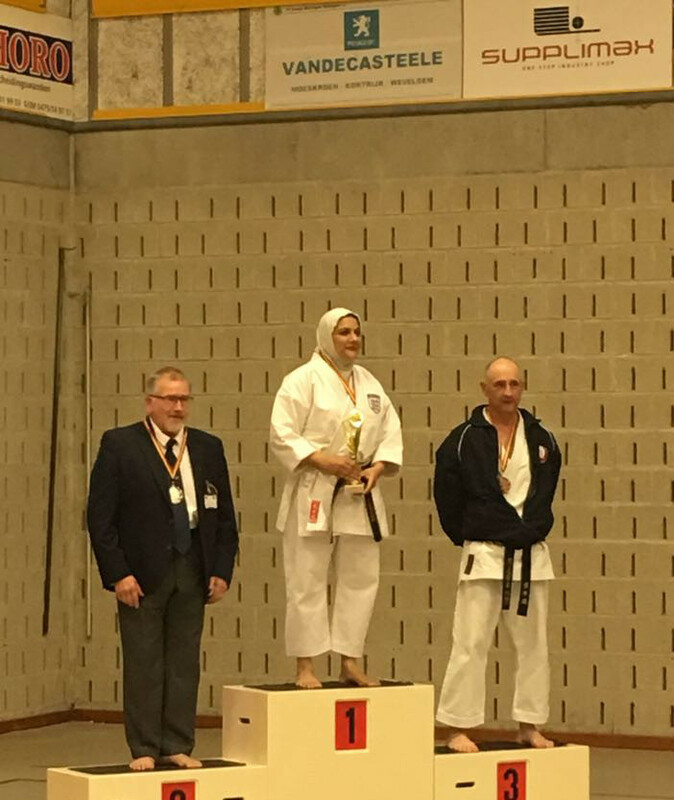 3rd in the Veterans mixed individual Kata. 3rd in the Team Kata. 3rd in the Masters Female category. 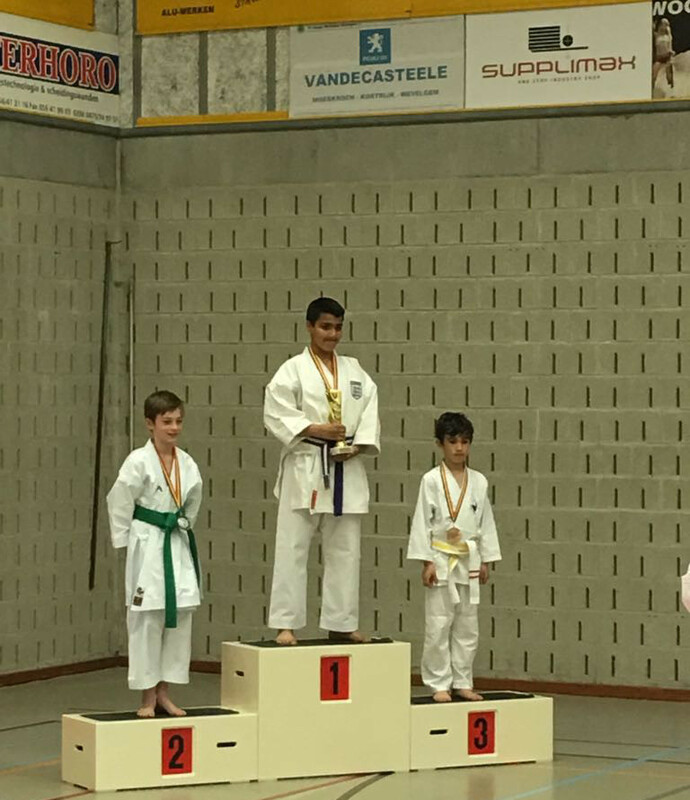 Yusuf - 1st in Kata.